Adjustments: the suite's actual title is "UNDERTONES: An Aural Memorial to the African Burial Grounds"
Amid a wave of musicians building the future of the Richmond music scene, composer Ashby Anderson is looking to the past. His 22-piece African Arkestra is part of a vanishing art form: a big band performing original, un-adapted work. 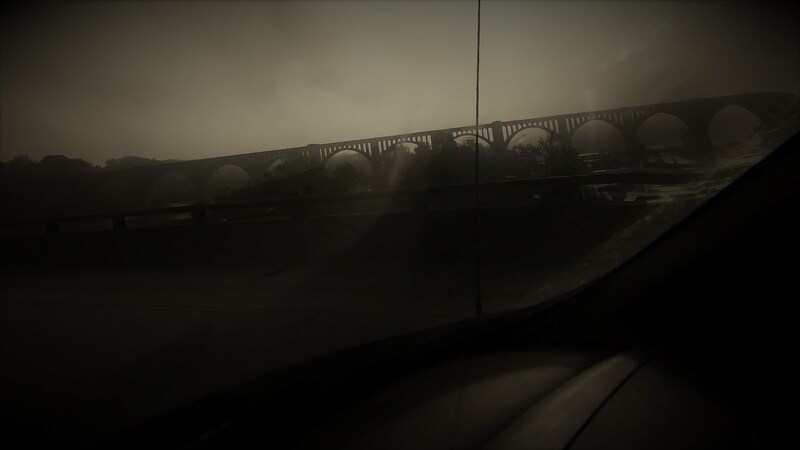 His latest commission, “Undertones,” draws on Richmond’s darker history. The work was performed this month during an Aural Memorial for the African Burial Grounds on Good Friday, April 3, at the site that inspired it. 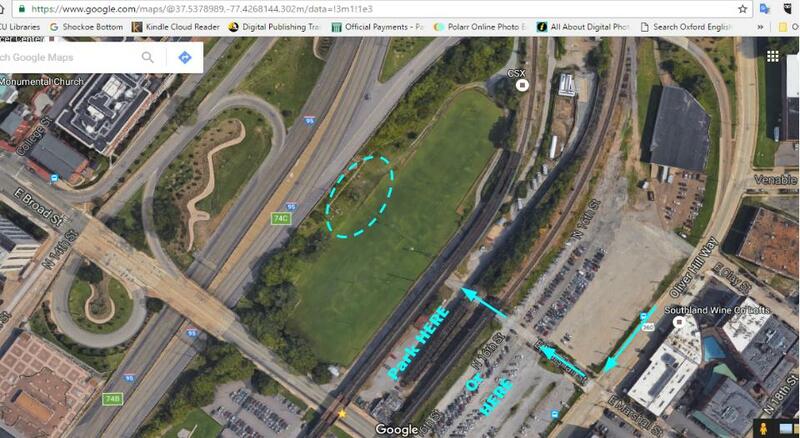 Once lying beneath a parking lot, the slave graveyard is now a grassy field at 15th and East Broad streets. There isn’t much to see there yet, but like the Anne Frank house in Amsterdam, a haunting resonance resides in a mixture of the evocative and the everyday. Anderson’s Muse Creative Workspace is just a few blocks away. A 7,000-square-foot, cinderblock warehouse with concrete floors, natural light through an expansive grid of windows, and a high, wood-beamed ceiling, it is at once industrial and intimate. The evening before the performance, the band works through the fourth movement of Anderson’s “Undertones.” The players are a mix of veterans from the local jazz scene and young musicians from Anderson’s Richmond Youth Jazz Guild. There are a lot of familiar faces: Rick Rieger, leader of the RVA Big Band, which plays Balliceaux every Monday; trombonist Pete Anderson; Kelli Strawbridge from the Mekong Express and the Big Payback; Kevin Simpson from Butterbean; and Mark Ingraham from the D.J. Williams Projekt, Bio Ritmo and Beast Wellington. It’s an impressive group. The composition alternates between tightly composed ensemble sections and freewheeling solos. The scored parts are multilayered, with contrapuntal lines soaring and colliding over a foundation of African rhythms complemented, augmented and deconstructed by Strawbridge’s propulsive drumming. The solos are inventive and heartfelt if perhaps a bit more restrained in rehearsal than they will be in the actual event. The next night, onstage in a tent at the African Burial Grounds, there’s no holding back. The band is in dashikis, playing to a large, appreciative crowd. While the pieces unfold, narration is provided by poet and contemporary griot Sekso Shabaka. Its pride-raising, Egypt-invoking, Afrocentric text becomes specific to time and place when it calls for the departed icons of racial injustice — from John Brown of Harper’s Ferry to Ferguson, Missouri’s Michael Brown — to rise up and continue the advance. Among the names Shabaka calls out is 1800 slave rebellion leader Gabriel, who most likely was hanged at the Richmond gallows on the burial ground site. “Undertones” continues a musical journey that the composer has followed for more than a decade. 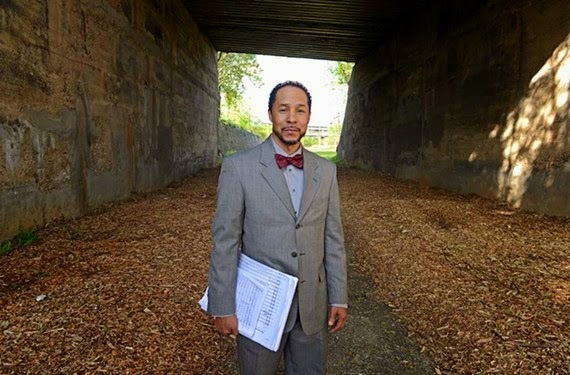 In 2004’s “Historic Richmond Jazz Suite,” he touched on the city’s slavery legacy with its Devils Half Acre section, while including a celebration of Second Street, “the Harlem of the South,” and the buried train sealed inside Church Hill. The music comes from a deep sense of place. He’s talking about the Richmond Slave Trail, but he could just as well be talking about his musical explorations of Richmond’s neglected history. The next performance of “Undertones” is set for Saturday, June 20, for the Elegba Folklore Society at Ancarrow’s Landing. Actually, I don't have any song suggestions, but I have a concert suggestion. I'm pretty sure, if you go to buy Caro Emerald tickets, you'll never regret that you went there and would enjoy her music till the end of time. And I'll be happy if you go with me and share atmosphere of the concert.